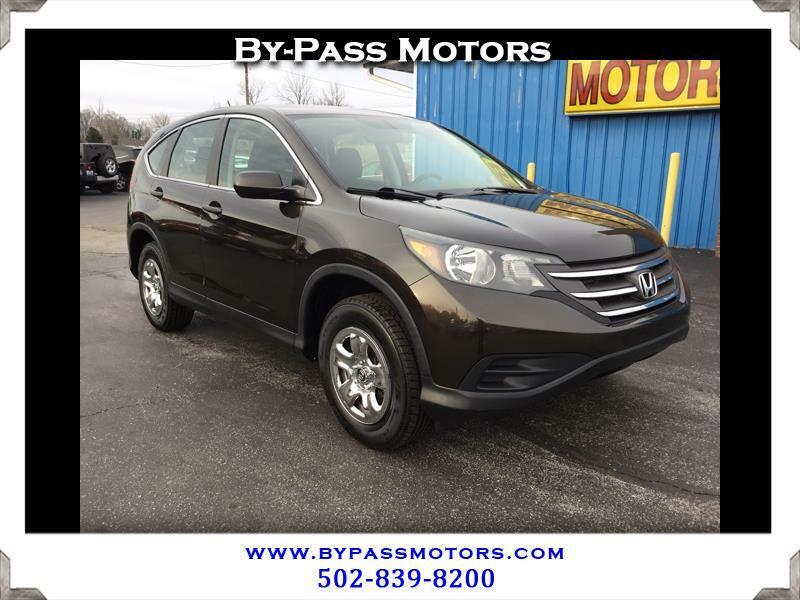 Used 2013 Honda CR-V 4WD 5dr LX for Sale in Lawrenceburg KY 40342 By-Pass Motors, Inc.
How about curbing your CRaVing's with a Honda CR-V. Honda are known for being reliable, economical, and an all around value. The CR-V has all those traits, plus a huge cargo area, plenty of room for 5 people, and that sporty feel of a Honda. Our vehicles come fully serviced and detailed and will be ready to give you miles and miles of service. Give us a call today at 502-839-8200 to see why buying a car at By-Pass Motors, Inc. is different. We are conveniently located off of the Bluegrass Parkway in Lawrenceburg, KY.